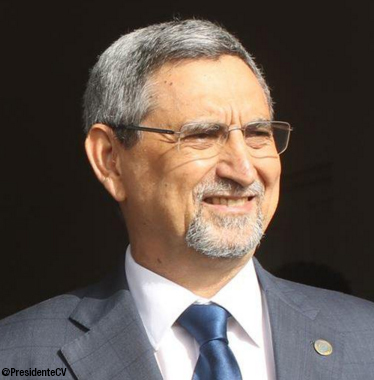 President Jorge Carlos Fonseca of Cabo Verde was re-elected on 2 October with 73% of the vote, winning an absolute majority in the first round against the principal opposition candidate, Albertino Graça who gathered 23% of the vote. The presidential election recorded a low voter turnout of less than 40% but the election is generally seen as a confirmation of President Fonseca’s popularity. In 2011, he became Cabo Verde’s fourth president since independence in 1975. The 2011 election marked the first peaceful democratic transition in the country. Fonseca’s political career builds on his long experience in law, politics and academia. He began working as a graduate teaching assistant in law at the University of Lisbon in 1982 and then worked as a law professor from 1987-90 at the Institute of Forensic Medicine of Lisbon and the University of Asia Oriental, Macau. Following earlier experience in the Ministry of Foreign Affairs, he served as Minister of Foreign Affairs from 1991-93 under the first government of the Second Republic. He unsuccessfully ran for president in the 2001 elections. Fonseca also founded the Law and Justice Foundation of Cabo Verde and served as president of the Institute of Legal and Social Sciences in Praia. President Fonseca holds a master’s degree in legal sciences from the University of Lisbon.